Cindy saw this at the minnesota state fair, famous for stick foods. Evidently they want you to be sure that you won't be served the first corn dog, as that would be disgusting. Minn. state fari? 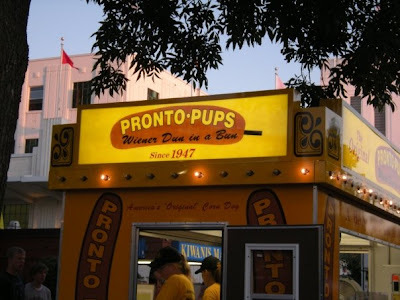 I thought maybe the Pronto Pup stand in Grand Haven had been updated!